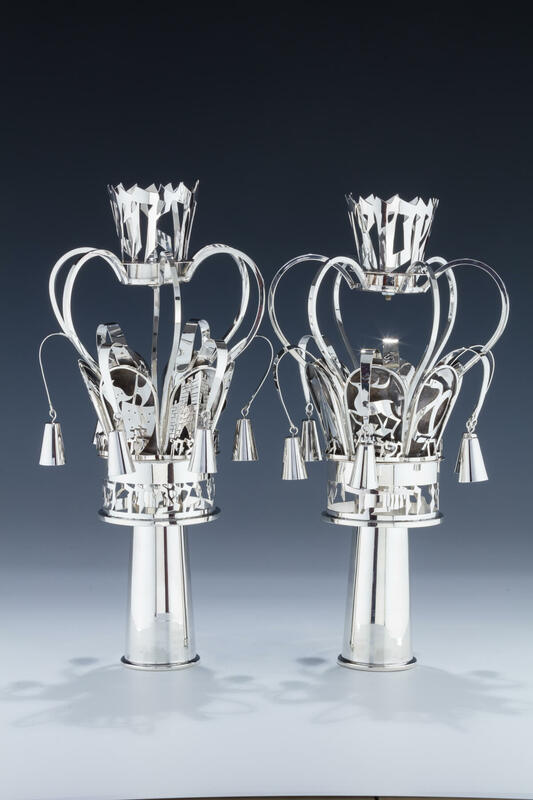 A PAIR OF HAND MADE STERLING SILVER TORAH FINIALS. Israel, c, 1960. Hand crafted with tribal related decoration in modernistic form and “FROM ZION COMES FORTH TORAH” 13.5” tall.